Journaling is an important and widely used instructional strategy that has become increasingly popular1 in both face-to-face and online classes. As a reflective activity, journaling gives a voice to students, allowing them to express their views about their learning experiences. It also provides teachers with timely feedback on what went well and what needs to be improved in the learning environment. Journaling is a two-way process involving both the students and the teacher—students record their reflections, after which the teacher responds and gives prompt written feedback. Journaling is not a new concept. The typical journaling tool is a book or diary where students record personal experiences. Its purpose usually is self-assessment and improvement, or recording life events.2 More recently, journaling has been popularized in higher education3 for multiple purposes, such as enhancing critical thinking and raising self-awareness of learning processes. With the onset of online learning, e-journaling has taken the place of the traditional paper-based journaling. Teachers who Web-enhance (face-to-face class backed by online support) or use blended learning (a flexible mix of face-to-face and online class sessions) find e-journaling to be a convenient option. For example, illegible handwriting (in both students’ journal entries and teachers’ responses) is no longer a problem, due to the text medium. More than five years ago, I switched from paper-based journaling to e-journaling in all my face-to-face classes while continuing to use e-journaling in the online courses. This article provides tips and suggestions for enhancing online coursework at the college and university levels through the effective use of e-journaling. The impetus to write reflectively comes from God Himself, who told Jeremiah: “Write in a book . . .” (30:2, NRSV)4 which highlights the importance of recording events and experiences before we forget them. “Do not forget the things your eyes have seen or let them fade from your heart” (Deuteronomy 4:9, NIV)5 also reminds us that recording is a way to remember. My own experience with reflective journals began when I was a graduate student at Andrews University (Berrien Springs, Michigan, U.S.A.) more than two decades ago. One of my professors consistently required learning journals in our classes. We were to turn in the journal notebook after each class, after taking sufficient time to reflect on the learning experiences. I enjoyed the reflective learning that took place during the journal experience because it was a means of communicating what I had learned. Reflective journaling gave me time to evaluate the learning experiences as well as a chance to share my thoughts about these experiences with the instructor. This convinced me to incorporate this learning tool into my own classes, and journaling has become an essential attribute of my classroom practice in higher education for the past two and a half decades. Self-reflection has received much attention since the publication of John Dewey’s early work How We Think.6 Dewey highlighted the significance of reflection in fostering students’ critical thinking and procedural skills among students. He emphasized that experience alone is insufficient for learning, but must be accompanied by reflection on the experiences. Reflection is defined as “an important human activity in which people recapture their experience, think about it, mull it over and evaluate it. It is this working with experience that is important in learning.”7 Such reflection incorporates a blending of the mental and affective dimensions of human experiences. In the form of journaling, this reflection provides cognitive engagement that connects experiences during and after the class. Common indicators of cognitive engagement, as established by research, include students’ “use of basic cognitive strategies such as rehearsal, elaboration, organization, and critical thinking; and self-regulatory strategies such as planning, monitoring, [and] regulating.”8 The affective dimension of learning is also critical to address. Student responses to the learning environment are more readily observable in a face-to-face class than in an online setting. Journaling serves as a convenient vehicle to build better understanding between students and the teacher. However, creating an appealing learning climate at the beginning of the course is critical if students and teachers are to receive the optimal benefits of journaling. The purpose of reflection through e-journaling is to provide learners with opportunities to (a) connect existing knowledge and new information learned; (b) react in personal terms to information that was learned; (c) deepen learning through cognitive engagement; (d) strengthen social connectivity between the student and teacher; and (e) track learning goals. Reflections allow the learner to express emotions or thoughts that act as barriers to learning, whether from an affective perspective (feelings, opinions, ideas) or a cognitive (prior learning) perspective. 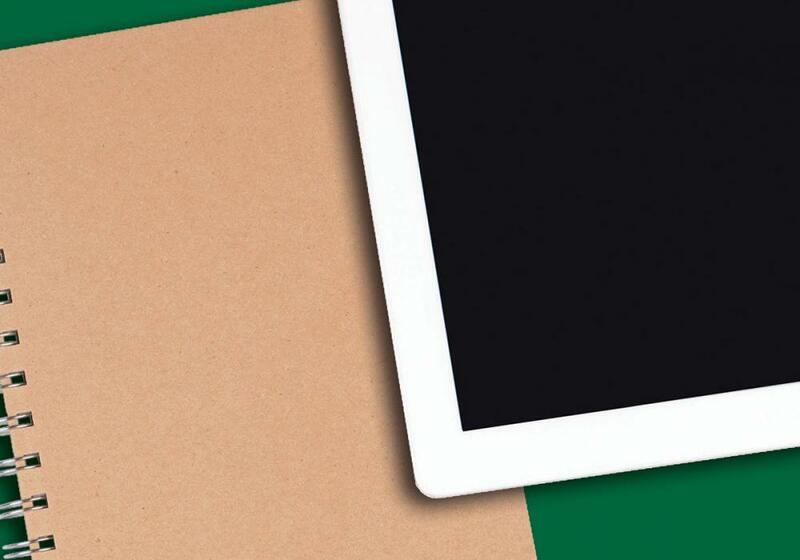 E-journals provide students with a structured procedure for expressing such concerns. In the context of online learning, reflective journals have the potential to increase teacher-student interactions and to sustain this communication throughout the course. Valuable student concerns can be shared in a non-threatening fashion. Especially important is the value of “wait-time” for interactions, as the delayed response allows more reflective thinking, compared to instant answers. Most e-journals are asynchronous. This gives students and teachers the opportunity to think twice before responding, which allows a healthy and comfortable, two-way exchange of ideas between the student and the teacher. In both face-to-face classrooms and online, journaling enables the teacher to personalize his or her responses to each student through feedback that enhances the learning experience. Since e-journaling is a requirement in all my classes, students are given instructions on how to complete this assignment at the beginning of the term. I share what is expected in terms of content, how often the journal entries are to be submitted, and the rubric that will be used for assessment (see Table 1). The journaling assignment is clarified through two main questions students must address: (a) What important and useful ideas have I learned? and (b) What would I like to see improved (either in the student’s personal performance or course delivery)? The entries are uploaded to the learning-management system drop box at the end of each weekly unit, class period, or as determined by the instructor and stated in the syllabus. Table 1. A Sample Rubric for Assessing E-Journals. Critically analyzes the impact of course content on learning by giving specific examples from readings, lectures, discussions, and assignments. examples from readings, lectures, and discussions. Some examples are shared to show how course content impacts learning, primarily from readings and lectures. Gives minimal statements of the impact of course content on learning. Shares clear statements of feelings, opinions, or thoughts about the learning experiences including challenges, concerns, or questions. Shares non-specific statements of feelings, opinions, or thoughts about the learning experiences including challenges, concerns, or questions. Some feelings, opinions, or thoughts about the learning experiences are shared in the entry. Gives minimal statements of feelings, opinions, or thoughts related to the learning experiences. Full page, single-spaced, one-inch margins. One-half page or more, single-spaced, one-inch margins. At least one-half page, single-spaced, one-inch margins. Submits the document by the due date. Submits the entry later than the due date by a week or less. Using this rubric, students are able to respond to the impact of course content (readings, lectures, discussions, and assignments) on their learning. The e-journal constitutes their personal response to all elements of the course, which often stimulates cognitive engagement that continues long after the class activities are completed. From the rubric, students learn that giving specific examples of how course content has made an impact on their learning (whether positive or negative) indicates proficiency. They also have the opportunity to share the effects of unique and helpful learning experiences that were part of the class. This part of the journal entry is a valuable component for the teacher as students share their challenges and concerns. Students can also be encouraged to share their questions regarding any aspect of the learning experience. My practice has been to require journals for every unit (eight units in all) of each online course. Since online courses generally have a course map or weekly routine such as reading/viewing and listening to the lecture, responding to forums, and turning in written assignments, journaling comes as a culminating activity for the week (if the class meets weekly). For some courses, I require journal entries to be uploaded before the start of the next class period, so classes that meet twice weekly will upload two journal entries per week. The syllabus includes the due dates for each unit journal submission. I require between half a page and a full page (single-spaced) for each journal entry. Challenges with journaling include the following: (1) the time required for reading and responding to entries with appropriate written feedback; (2) students viewing journaling as a time-consuming burden, and (3) the teacher’s exasperation at having to invest large amounts of time that should be used for class preparation, especially in larger classes. For example, I recently had 41 graduate students in a twice-weekly Web-enhanced course. Reading and responding to 82 journals per week (twice weekly) was indeed a huge task. For this reason, a short turnaround period is my target. Generally, I respond before the next class period or weekly unit. In other words, for a face-to-face or Web-enhanced class, journal responses are given before the next class period (twice per week). For the online courses, I respond before the start of the next unit (weekly). Instructors of large online classes could assign graduate teaching assistants to assist with providing feedback. The learning-management system Moodle provides a convenient space on the platform for each journal entry. Prompt teacher response has obvious benefits such as students receiving clarification in a timely manner, and having someone who actively listens to their writing voice and responds promptly. Knowing that the instructor will read and respond is a major incentive for student engagement. Williams et al. noted that online student engagement increased with high teacher engagement. In this instance, engagement was identified as posting to the online forum.9 When students see that the teacher is engaged and active within the online forum, they are more likely to do likewise. For the teacher, knowing whether or not students understand the concepts being taught is essential for success. E-journal entries provide this type of data, enabling the teacher to make better decisions about how to proceed with instruction. Providing a journaling template can be helpful to students. The template identifies the essentials of the assignment, such as the identity of the student, the name of the course (as multiple courses can cause confusion), and what should be included in the text. The journal outline also could include questions and prompts to help students reflect on how they will use the ideas in their own classrooms in the future (if used in an education class); how the content relates to previous knowledge; or to discuss difficulties in grasping the concepts taught and ask for help. I use e-journals as a way to communicate with my students and to evaluate how the course is progressing. An example of the template used in my courses is provided in Box 1. Box 1. Sample E-Journal Entry Template. What have you learned in this unit? What would you like improved? Identify and describe at least two things you wish to improve personally or in the course. You may also choose to post any questions or concerns. (2 points). Treat each student’s submissions respectfully. This includes ensuring confidentiality while setting clear boundaries. If students write something that is disturbing or share their intent to harm themselves or others, this crosses a boundary. Report it according to the school’s policies. Online programs should have in place protocols for meeting the needs of distance and online students. Make use of professional resources available on your campus such as counselors, social workers, and/or administrators to provide the student with help. Provide clear expectations and guidelines in order to avoid misunderstandings. In an online environment there is always the possibility of cyberbullying—hostile communication that can occur in the absence of face-to-face communication. Online bullying may take several forms and can be directed not only to peers in the class, but also toward instructors in the form of threats, harassment, stalking, and mobbing (see Box 2). Mobbing: Sending threatening, vicious messages, as a group, to a specific instructor. Cyberbullying is against the law in many locations. Some countries have high penalties for cyberbullying, others have medium-to-low penalties. Check legislation for the country in which you live. School policies should include prohibitions against cyberbullying. Make sure your school has a policy in place that includes cyberbullying and other forms of intimidation, and include it in your syllabus. Cyberbullying policies should be shared and readily available. Make sure regular online and adjunct faculty know where to go for help. Share anti-bullying information through Webinars and professional-development training. * Michael T. Eskey, Cathy L. Taylor, and Michael T. Eskey, Jr., “Cyber-bullying in the Online Classroom: Instructor Perceptions of Aggressive Student Behavior,” Online Journal of Distance Learning Administration 17:4 (Winter 2014). Available from https://www.westga.edu/~distance/ojdla/winter174/eskey_taylor_eskey174.html. Online instructors may be bullied if one or more students don’t like their teaching style or question their credentials; bullying may also occur if the instructor lacks experience and does not respond to students in a reasonable amount of time, or even if the course material is deemed excessively challenging; bullying could occur because of grades, textbook selections, and any manner of student perceptions relating to the class or school policies. Online bullying can also escalate into physical violence against those being targeted.12 Online users may express their confusion or dissatisfaction in a variety of ways, including insults, verbal hostility, name calling, and other undesirable responses, including threats, especially when sensitive or controversial topics are being discussed. Flaming and cyberbullying in an online course are far less likely when students can use journaling to share their concerns in a timely manner. The confidential nature of the journaling experience allows the instructor to respond directly to the student’s concern and to clear up misconceptions. My experiences with student reflection journals in Web-enhanced and online courses has been rewarding. My rapport with students has been enhanced because the journals enable them to express confidentially their reactions to course content. They can share personal or private concerns and propose solutions. Thus, I receive prompt feedback on what is working well and what needs to be improved, and can also provide students with rapid feedback (no more than 48 hours). In this age of technology, teachers have an opportunity to enhance student learning through e-journaling. Though the experiences shared here are in the context of higher education, the applications shared can be adapted to fit other levels of learners as well. 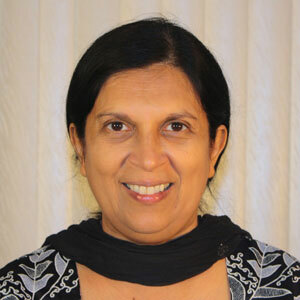 Prema Gaikwad, PhD, is Professor of Curriculum and Instruction at Adventist International Institute of Advanced Studies (AIIAS) in Silang, Cavite, Philippines. She also serves as the Director for the PhD and EdS in Education programs. Dr. Gaikwad has more than 40 years of experience as an educator, has conducted numerous professional development and research seminars, and presented at international conferences. Her academic interests include the areas of professional development of educators, inclusive education, online learning, and research. She has published several articles in the areas of teaching and research, and has also collaborated in writing Bible textbooks and storybooks for the Southern Asia Division. Prema Gaikwad, “Enhancing Online Learning Through Reflective E-Journals,” The Journal of Adventist Education 80:2 (April-June 2018): 23-28. Center for Service Learning, “Reflection Journals” (2017): https://www.uta.edu/csl/for-students/reflection-journals.php. Jonnie J. Phipps, “E-Journaling: Achieving Interactive Education Online,” Educause Quarterly 1 (2005): 62-65: http://www.educause.edu/ir/library/pdf/EQM0519.pdf. Donald A. Schon, The Reflective Practitioner: How Professionals Think in Action (New York: Basic Books 1984). Jeremiah 30:2, (NRSV). New Revised Standard Version Bible, copyright © 1989 the Division of Christian Education of the National Council of the Churches of Christ in the United States of America. Used by permission. All rights reserved. Deuteronomy 4:9. New International Version (NIV) Holy Bible, New International Version®, NIV® Copyright © 1973, 1978, 1984, 2011 by Biblica, Inc.® Used by permission. All rights reserved worldwide. John Dewey, How We Think (Buffalo, N.Y.: Prometheus Books, 1991). David Boud, Rosemary Keogh, and David Walker, eds., Reflection: Turning Experience Into Learning (New York: Nichols, 1985). Sunghye Lee, “An Exploration of Learning Environmental Factors Affecting Student Cognitive Engagement: Implications for Instructional Design Research,” Educational Technology International 15:2 (2014): 143-170. Anthony Williams et al., “The Virtual Mentor Program: An Initiative to Support First-year Students and Students at Risk,” The Journal of Adventist Education 80:1 (January-March 2018): 22-29. Stephen D. Brookfield, Becoming a Critically Reflective Teacher, 2nd ed. (San Francisco: Jossey-Bass, 2017). Leona M. English, “Ethical Concerns Relating to Journal Writing,” New Directions for Adult and Continuing Education 2001:90 (Summer 2001): 27-36; Leona M. English and Marie A. Gillen, “Journal Writing in Practice: From Vision to Reality,” New Directions for Adult and Continuing Education 2001:90 (Summer 2001): 87-94; Sandra Kerka, “Journal Writing as an Adult Learning Tool: Practice Application Brief No. 22,” ERIC Clearinghouse on Adult, Career, and Vocational Education (2002): https://files.eric.ed.gov/fulltext/ED470782.pdf; J. Yuan and C. Kim, “Guidelines for Facilitating the Development of Learning Communities in Online Courses,” Journal of Computer Assisted Learning 30:3 (June 2014): 220-232. Michael T. Eskey, Cathy L. Taylor, and Michael T. Esky, Jr., “Cyber-Bullying in the Online Classroom: Instructor Perceptions of Aggressive Student Behavior,” Online Journal of Distance Learning Administration 17:4 (Winter 2014): https://www.westga.edu/~distance/ojdla/winter174/eskey_taylor_eskey174.html; see also Susan M. Taylor, “Cyberbullying Penetrates the Walls of the Traditional Classroom” The Journal of Adventist Education 73:2 (December 2010/January 2011): 37-41.